4 Days & 3 Nights lodging in a bungalow. Corcovado National Park day hike with transportation, entrance fee, picnic lunch and English speaking naturalist guide. One of the following optional tours: Bird Watching, Kayak tour or visiting the Guaimy Indigenous Territory. Day 1. Arrival to Osa Peninsula at La Palma, Danta Corcovado Lodge. Transportation is not included if you need to arrange it we will gladly help you. The Lodge is a local family business that aspires to be the leader in rural tourism in the Osa Peninsula, a model of local development and example of conservation of natural resources, creative design and sustainable development. 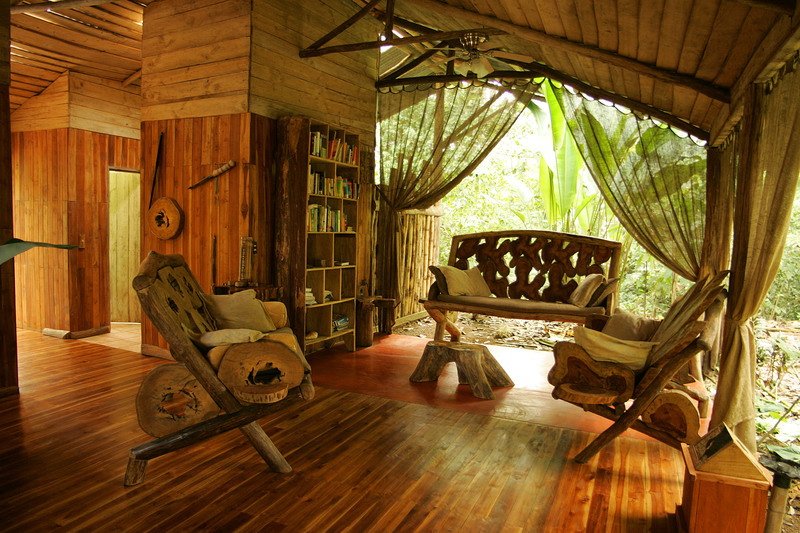 Danta Corcovado Lodge is 100% locally run. Everyday we are thinking of ways to involve and promote the talents and culture of our small community. Our ideal goal is to foster responsable community development by encouraging local business growth, such as: buying locally homemade bread, dairy products, vegetables and fruits, building trails to support farmers and the conservation of their forests, supporting local artisans, local nature guides, etc.